* There’s the history. 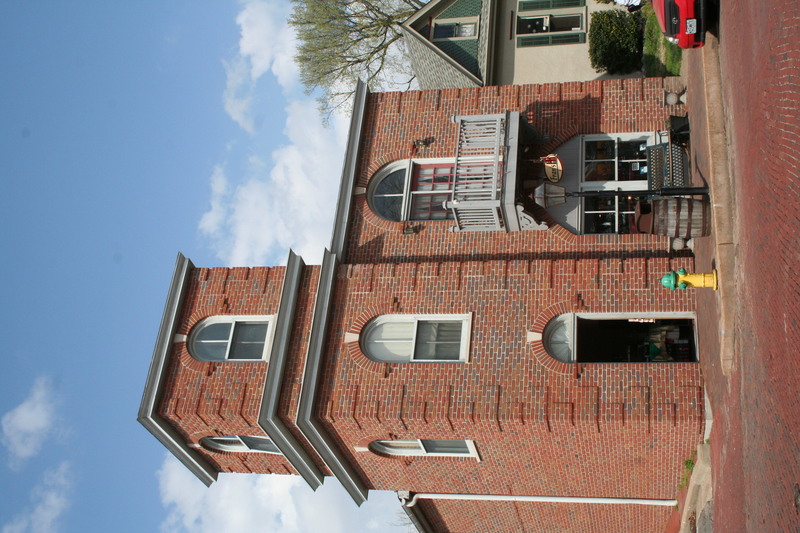 St. Charles, which is located on the Missouri River west of St. Louis, was founded in 1769 by a French Canadian fur trader named Blanchette, as Les Petites Cotes (The Little Hills). * The architecture is varied and beautiful. 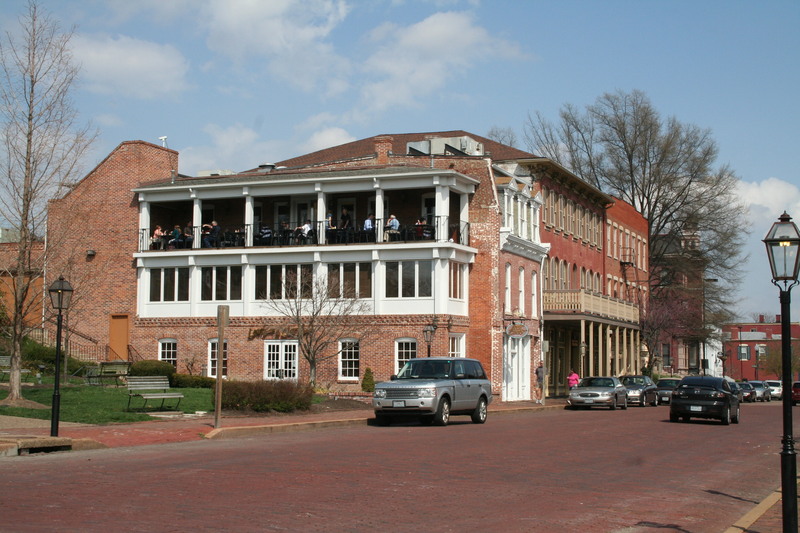 The buildings on the brick-paved street, most of which also are brick, have been restored. 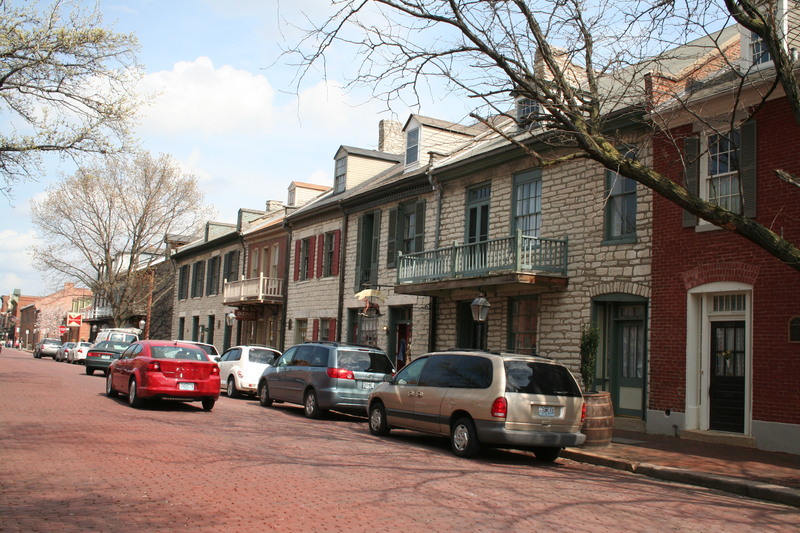 * There are 125 shops and restaurants in the 13-block historic area. 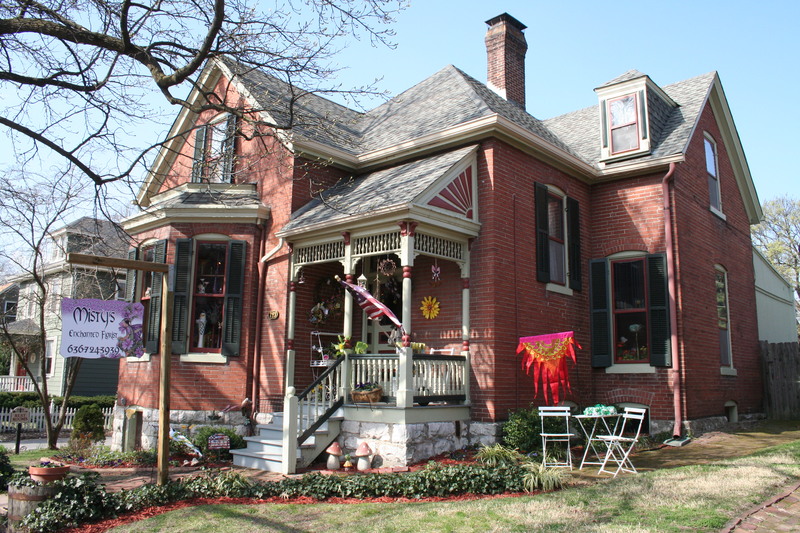 You’ll find art, crafts, wine, clocks, jewelry and much more. One specialty shop we visited sold scores of flavors of olive oil, all different and available for free sampling. Another store had thousands of bottles of sauces and seasonings for food items and mixes for drinks. The restaurants offer a variety of lunch and dinner menu items. Some have patio seating available. 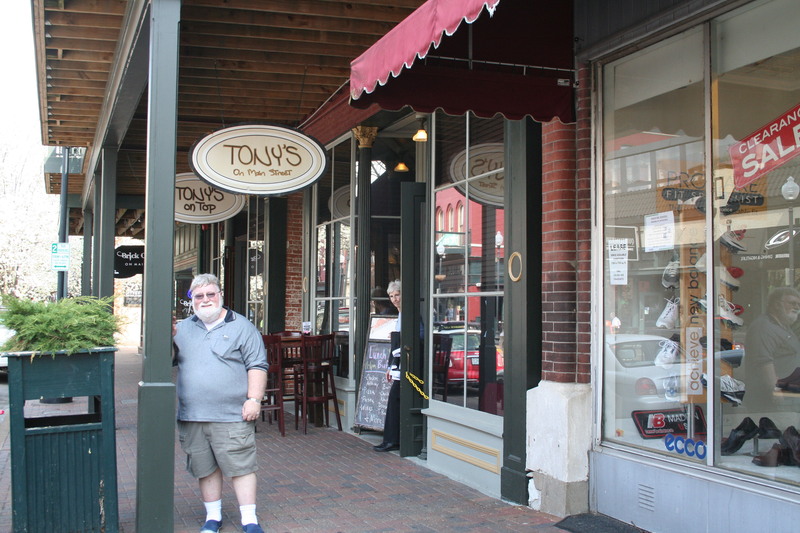 The portions were so large at our delightful meal at Tony’s on Main Street that we walked out with to-go boxes. If you arrive early enough on the day of your Main Street visit, you’ll find free, on-street parking. Or you can motor in to the ample lots behind the shops located closest to the river. If you wish to just sit and watch the world go by while others shop, there are benches in front of some of the stores, although there could stand to be more of them. 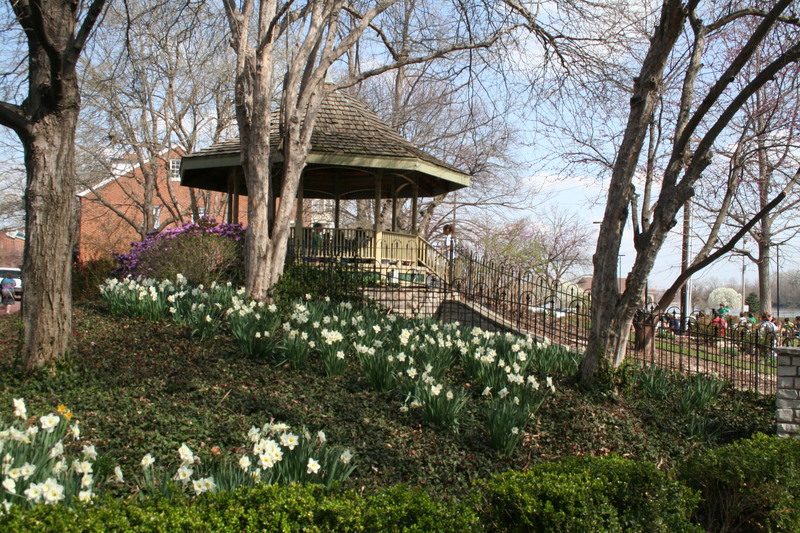 Or you might prefer to sit in the gazebo in the historic area’s tree-shaded, flower-filled park to see the river flow by.